• Effects of multiple stressors were analysed in M. galloprovincialis in winter season. • Temperature but not acidification increased cadmium accumulation. • Interactive effects of multiple stressors occurred at cellular level. • Differences were observed compared to mussels exposed in summer. • Elaborated hazard indices highlighted different tissue responsiveness to multiple stressors. Ocean warming and acidification could represent an additional threat to marine organisms already coping with other anthropogenic impacts, such as chemical contamination in coastal areas. In this study, interactions between such multiple stressors and their synergistic effects in terms of accumulation, detoxification and biological effects of metals were investigated in the Mediterranean mussel Mytilus galloprovincialis. Organisms sampled during the winter period were exposed for 28 days to different combinations of two temperatures (10 °C and 15 °C), two pH/pCO2 (8.20/~400µatm and 7.4/~3000µatm) and two cadmium concentrations (0 and 20 µg/L). Cadmium concentrations increased in digestive glands and gills of metal-exposed mussels and were further enhanced by co-exposure at higher temperature. Interactive effects of temperature and/or pH were observed on Cd-mediated metallothionein induction, responsiveness of antioxidant system and onset of oxidative damages in lipids, with tissue-specific effects. Immunological effects showed a generalized sensitivity of lysosomal membrane stability toward the investigated stressors with major effects in co-exposed organisms. Cadmium and temperature affected phagocytosis efficiency and composition of haemocyte populations probably influencing the micronucleus frequency through varied mitotic rate. Several differences were highlighted between these results and those previously obtained from mussels exposed in summer, supporting the importance of season when addressing the tolerance of temperate organisms to variations of environmental factors. The elaboration of the whole biomarker results through weighted criteria allowed to summarize specific hazard indices, highlighting tissue-specific sensitivity toward multiple stressors and the need of improving the knowledge on interactions between multiple stressors. • Hemocyte parameters of oysters were determined by FC in vitro and in vivo. • Synergistic effects of Cu and low pH on oyster hemocyte were observed. • Cu exerted a stronger influence on hemocyte parameters than low pH. • Carry-over impacts of Cu and low pH were found during the recovery period. With the development of industry and agriculture, the metal pollutants (e.g., Cu) are inevitably released into the aquatic environment. 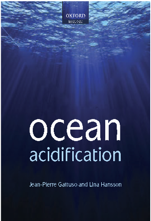 In addition, ocean acidification (OA) as a major environmental stress is affecting marine organisms. In this study, we investigated the hemocyte responses of the estuarine oyster Crassostrea rivularis exposed to six combinations of two pH levels (8.1 and 7.7) and three Cu concentrations (0, 10 and 50 μg/l) using flow cytometry in vitro and in vivo. In both experiments, Cu and low pH jointly affected the hemocyte parameters of oyster. High Cu exposure resulted in decreased total hemocyte count (THC), esterase activity (EA) and lysosomal content (LC) and increased hemocyte mortality (HM), phagocytosis activity (PA) and reactive oxygen species (ROS) production, especially under low pH conditions. The immune suppression of metal-exposure was more significant than low pH exposure with a 28-d experimental period in oysters. A slight recovery of the immune parameters was observed in THC, HM, PA, ROS and LC. During the depuration period, the modulatory effects of pH were still obvious. In addition, carry-over effects of high Cu and low pH were still observed. Overall, our results showed that copper and low pH weaken immune functions of hemocyte in oysters, with synergistic effects. This work provides new evidence of sublethal negative effects of metals on marine animals under global change scenarios, and copper likely leads to reduced fitness of oysters under low pH conditions. • Inhibited phagocytosis rate, combined with increased DNA damage, apoptosis rate and ROS production of hemocytes were observed in oysters under exposure to Cd exposure alone or combined with OA. • Significant interactive effects between OA and Cd were observed on ROS production and DNA damage of hemocytes. • mRNA expression of genes related to immune responses (TLR pathway and immune factors) was stimulated in oysters exposed to Cd and OA at pH 7.6. Seawater acidification (OA) and cadmium (Cd) has the potential to lead to immunosuppression effect on marine bivalves. However, the interaction between these two environmental stressors on immune system of marine bivalves has received limited attention. 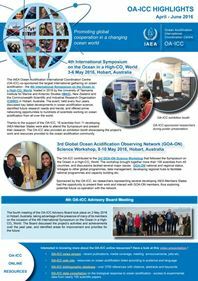 In order to evaluate the defense responses of oysters under the combined exposure to OA and cadmium, the oysters Crassostrea gigas were exposed to 10 μg/L Cd at three pH levels (8.1, 7.8 and 7.6) for 31 days. Results showed that OA exposure alone led to increased DNA damage, apoptosis rate and ROS production of hemocytes. However, inhibited phagocytosis rate, combined with increased DNA damage, apoptosis rate and ROS production of hemocytes were observed in oysters under exposure to Cd exposure alone or combined with OA. Significant interactive effects between OA and Cd were observed on ROS production and DNA damage of hemocytes. In addition, there is generally significant increase in the mRNA expression of genes related to immune-related TLR pathway and two immune factors (TNF and integrin beta-1B) in Cd-exposed oysters at pH 7.6. The results revealed that even though the mRNA expression of genes related to immune responses (TLR pathway and immune factors) was stimulated to counteract the immunosuppression caused by acidified seawater and Cd, depressed hemocyte function perhaps sensitized oysters to potential pathogen infection.